The second weekend of conference action did nothing to solve the Big Ten puzzle. Wisconsin could have gotten a massive head start in the league race by winning at Purdue, but instead the Badgers were stymied by Matt Painter’s team. Maryland had looked vulnerable in losing a home game to Nebraska, but the Terrapins bounced back by winning at Michigan. Indiana, coming off a three-game losing streak, thoroughly outplayed Illinois in Bloomington and reminded everyone how well the Hoosiers were playing earlier this season. You get the idea. If you like chaos and unpredictability, the Big Ten is your conference this season. Here’s the best and worst of the weekend. Thomas Bryant did not miss a shot from the field as Indiana beat Illinois on Saturday. (Kelsey Kremer, Des Moines Register). 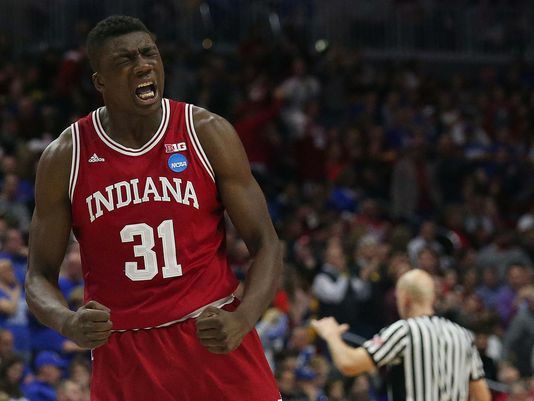 Player of the Weekend: Unlike his sophomore counterpart in West Lafayette who is generating buzz for Player of the Year recognition, Thomas Bryant has not yet broken out this season. 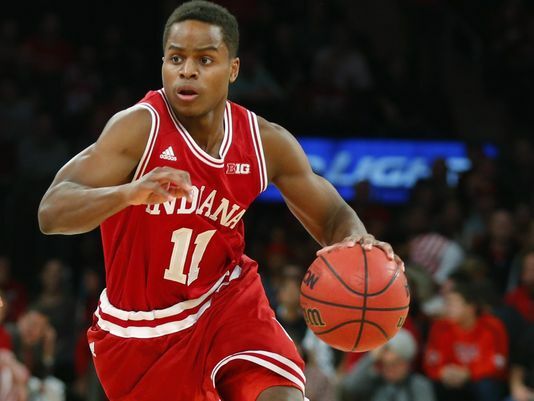 His statistics are down across the board, and much of this is attributable to no longer having one of the best point guards in the nation (Yogi Ferrell) to find him in premium scoring situations. It was therefore encouraging that Bryant went for a season-high 20 points and added a team-high six rebounds in Saturday’s 96-80 victory over the Illini. The Hoosiers made a point of finding their big man when Illinois started to make things interesting, and he responded by showcasing some nifty post moves to seal the win. For Indiana to make its way back to the top of the Big Ten, it will need to get Bryant going down low more frequently. The season-opening tip-offs are set for tonight and the RTC Big Ten microsite has arrived at our predictions for the coming year. We’ve huddled our clairvoyant minds together and selected our conference preseason Player of the Year, Newcomer of the Year, and Coach of the Year. Some of these predictions are likely to miss, but the three individual profiled below are definitely worth keeping a close eye on during the regular season. 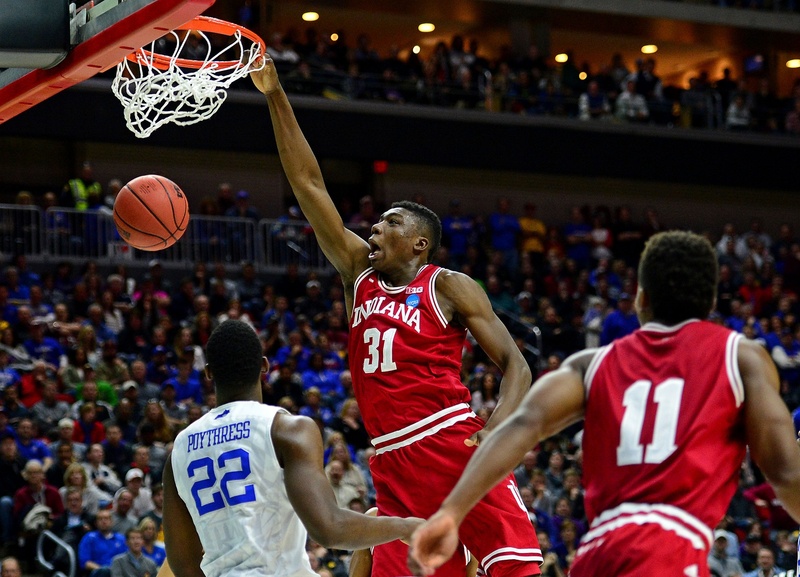 Thomas Bryant is the RTC Preseason Big Ten Player of the Year (USA Today Images). Player of the Year: Thomas Bryant, Indiana. This was by no means a unanimous choice among our group. While we believe our other two Badger candidates — Nigel Hayes and Ethan Happ — will each also have a terrific season, we settled on Bryant for a couple of reasons. First, he is one of the nation’s most talented big men in an offense full of second options — expect him to significantly improve on his 11.9 PPG and 5.8 RPG freshman tallies with an added a year of experience. 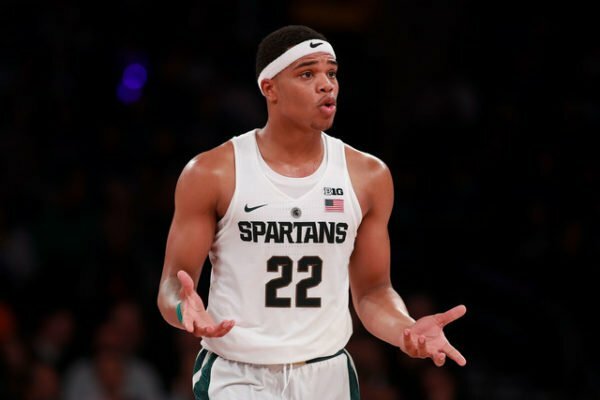 Second, he is the anchor of a reigning Big Ten champion that is expected to contend for a second consecutive title and a deep NCAA Tournament run. Given the talent and opportunity here, we believe that Bryant is ready for a monster year. 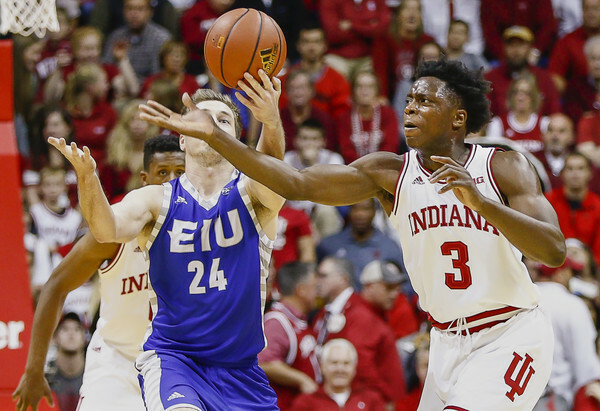 Can Indiana’s OG Anunoby Meet the Considerable Hype? If you’re searching the Indiana roster for the name of the best player, you can stop when you see Thomas Bryant’s. 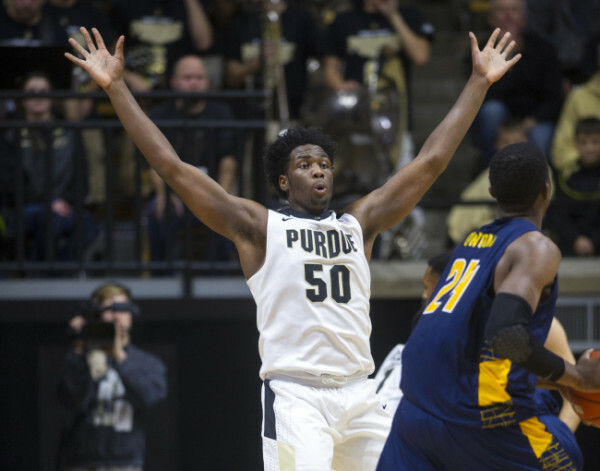 The 6’10” sophomore is one of the most, talented forwards in the country and could easily have been playing in a regular season NBA game right now instead of still residing in Bloomington. But if you’re looking for the most exciting Hoosier on this season’s roster, you’ll need to redirect your eyes to another sophomore, OG Anunoby. The 19-year old London-born but Missouri-raised athlete was thrown into the limelight last December after James Blackmon Jr.’s season-ending injury. From that point on, his role changed from that of an unheralded freshman to providing stellar perimeter defense for 17 minutes off the bench with some highlight dunks sprinkled in. Given his youth, athleticism and length, Anunoby is a fan favorite among the Hoosiers faithful – not to mention a number professional scouts – and is one of the reasons Indiana is expected to compete for a Big Ten title despite significant departures from a Sweet Sixteen team. With the season tipping off on Friday, there’s no better time to roll out our the RTC Preseason All-America Teams. More than anything, these three groups of outstanding players are here to foster and encourage discussion over the next four months. Our crack panel of seven national columnists provided ballots over the last week and this is where we ended up. Josh Hart, Villanova — The defending National Champions figure to be a prime contender to repeat and a lot of that has to do with return of the senior Hart. During his junior season, Hart transitioned from his previous role as a reliable glue guy to becoming a serious offensive threat — pacing a balanced Villanova squad with season averages of 15.5 points and 6.8 rebounds per game. Considering Hart’s contributions, it is reasonable to believe that the Wildcats will once again be the team to beat in the Big East. Factoid: Villanova head coach Jay Wright was thrilled when Hart decided to bypass the NBA Draft and return for his senior season, but he wants to see the senior step into a more serious leadership role now that Ryan Arcidiacono and Daniel Ochefu have graduated. Dillon Brooks, Oregon –– Brooks burst onto the scene during a sophomore season where Oregon earned a #1 seed in the NCAA Tournament and advanced to the program’s first Elite Eight since 2007. The versatile forward averaged a team-high 16.7 points per game and became the first player in program history to reach 1,000 career points as a sophomore. Preseason expectations are very high for the Ducks again this season, and it is fair to conclude that Dana Altman’s squad have enough pieces to live up to the hype. Factoid: Brooks had surgery on his foot over the summer, and while his status for the first few games of the season is still unknown, Oregon does not anticipate its star will miss an extended period of time. North Carolina never comes out of nowhere. When you’re an historic program with a Hall of Fame coach, why should you? Last year the Tar Heels were ranked first in the preseason AP Top 25 and finished the season a miracle shot away from capturing Roy Williams’ third National Championship. Despite losing All-America forward Brice Johnson and star lead guard Marcus Paige, the Heels are ranked #6 in this preseason’s Top 25 and were picked to finish second in the ACC at Operation Basketball in late October. 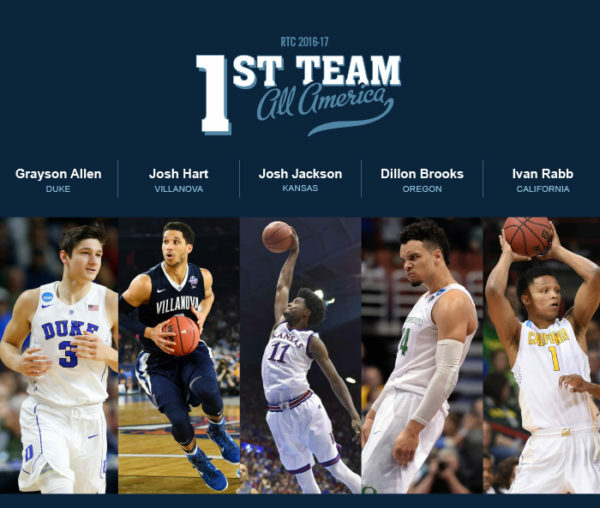 Point guard Joel Berry was voted to the preseason All-ACC First Team and wing Justin Jackson was named to the Second Team. 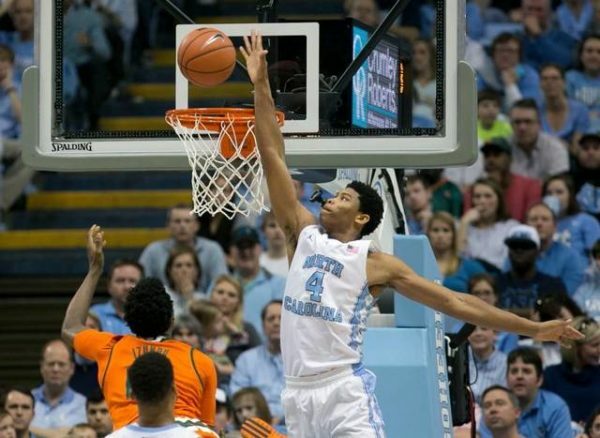 There is (rightfully) a lot of love for Williams’ squad heading into the season, but the player on the team not getting nearly enough hype is senior forward Isaiah Hicks. Hicks, who was the ACC Sixth Man of the Year last season, was a dominant force in short batches. However, the presence of Johnson at the four prevented him from logging the kind of minutes (45.2% minutes rate) that would have facilitated bigger numbers (8.9 PPG, 4.6 RPG). With Johnson no longer around, Hicks figures to become a key piece to a North Carolina team looking to get back to the Final Four and finish the job. Somewhat surprisingly, Hicks was not chosen for the All-ACC First or Second Team at Operation Basketball. That omission may look silly come March.